This wine comes from the dry, rugged Central Ionian coast of Calabria, the “toe” of the Italian “boot.” Gaglioppo and Greco Nero are the major two grape varietals grown here that stem from Greek origins. Val di Neto was started in 1999 and their 75 acre vineyard is in the production zones of Melissa DOC and Val di Neto IGT. 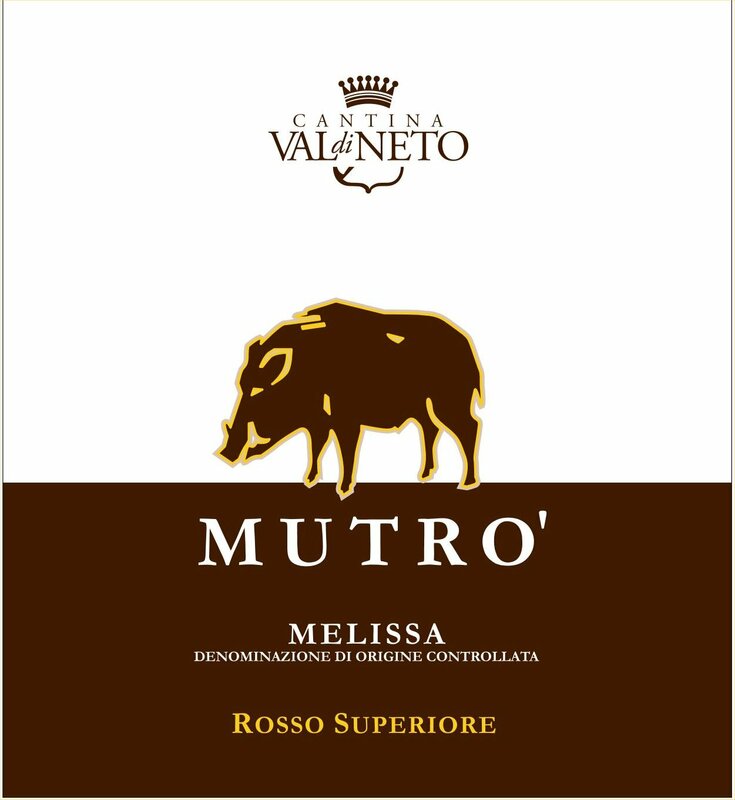 The name, "Mutro'," comes from the name of the ancient hunting area where Kings used to shoot wild boar. Tasting notes: This delivers wonderful aromas and flavors of strawberries, blackberries, dark cherries and hints of chocolate. Medium in body, it is beautifully structured. Area of Production: The vineyard is located in the low valley of Neto, south of the Ciro Territory in the province of Crotone. Vinification Technique: Quick maceration followed by fermentation at controlled temperature in stainless steel. Maturation: 30% 6 months in French oak barrique, 70% in stainless steel.